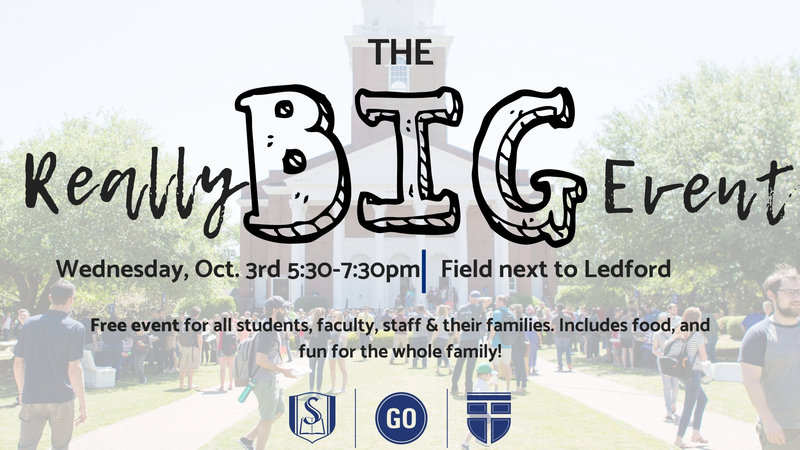 The Really Big Event is a campus wide cookout! Bring your family, a chair or blanket, and get ready to have really big fun! Dinner is provided. See you on the field next to Ledford!